It is that time again! 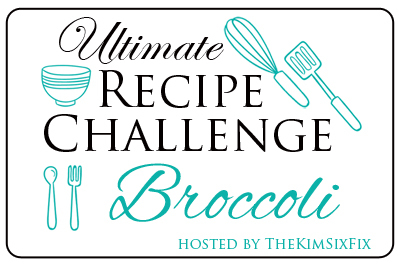 Another Ultimate Recipe Challenge, where I host a group of fabulous food bloggers and challenge them to come up with a recipe based upon a challenge item. This month the mystery ingredient was BROCCOLI! This was a tough one! At the bottom of this post you will find the recipes (all using Broccoli) from the other bloggers. The recipe isn’t too difficult, but it did take me a while to track down the ingredients, specifically the pine nuts (I found mine with the bulk nuts) and creme fraiche (check out the gourmet cheese section of your store). If you can’t find pine nuts, you can use walnuts or almonds, and if you can’t find creme fraiche, you can use sour cream or plain yogurt. I boiled the orzo, just like I would treat any other type of pasta, and then drained and rinsed it. I like to use a microwave veggie steamer to cook my broccoli. You just add the broccoli and a little water and let it go! It seals in the color and all the nutrients, no losing it to the water like when you boil it. In this case I had to do the broccoli in two batches since there was so much. It took about 4 minutes in my microwave. After the broccoli was cooked, I threw it in the blender (I don't own a food processor) along with the cheese, pine nuts, oil, creme fraiche and a little pasta water. I blended it until it was smooth. Now all I had to do was toss everything together. I served it with a sprinkling of extra parmesan cheese (since seriously.. can you have too much cheese if you are serving broccoli? I think not!). My kids chowed down on it. Apparently it is the only way I should serve broccoli! Create a fresh and bright pesto with broccoli, pine nuts and creme fraiche. 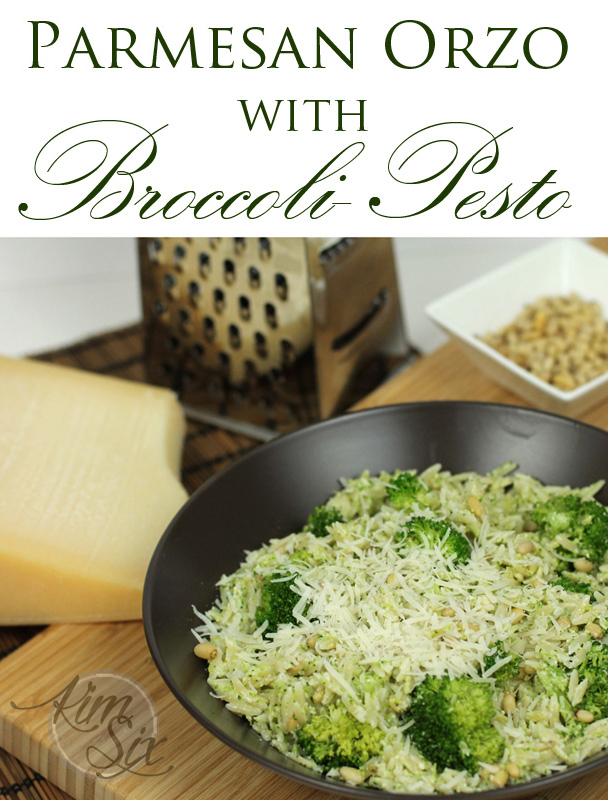 Served warm or cold over a Parmesan Orzo salad, this healthy fresh recipe is a crowd pleaser. -Cook orzo via package instructions in salted water. Drain and set aside 1/2 cup pasta water. Rinse with cold water and drain again. 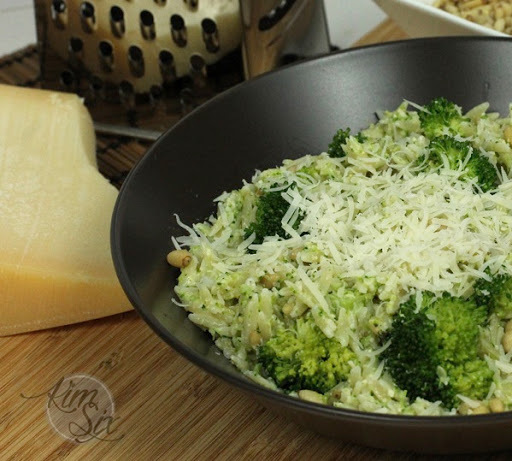 -Toss together orzo and remaining broccoli and parmesan. If Pesto isn't your thing, here are a couple dozen more broccoli recipes that may strike your fancy!